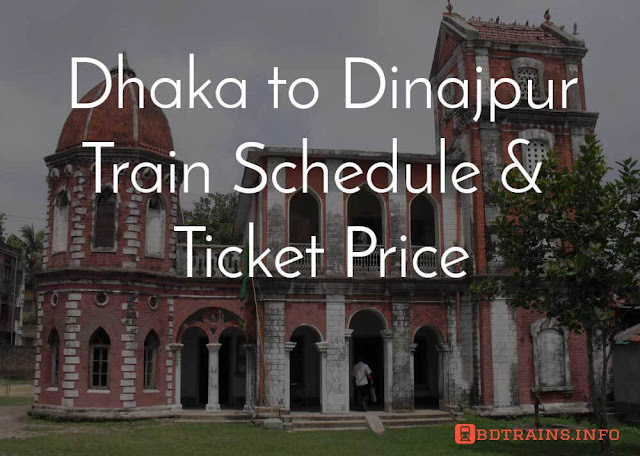 This post is about to Dhaka to Khulna Train Schedule and Ticket price. 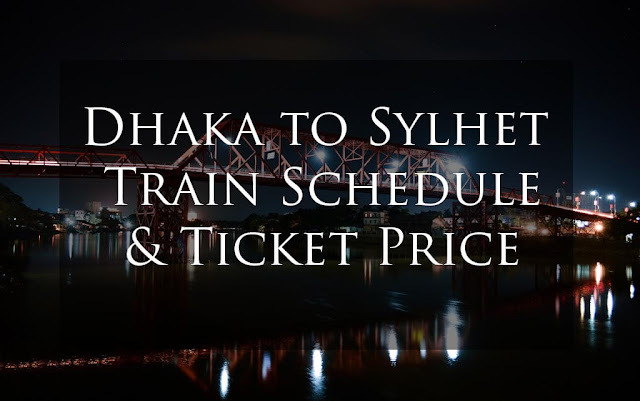 We will discuss about the vice versa too, I mean you will find here Khulna to Dhaka train schedule here and the ticket price as well. Khulna is one of the important division in Bangladesh and a district as well. Khulna is door to enter to Sundorban the largest mangrove forest in the world. This is the third largest city in Bangladesh. From the perspective of Business, national and international transport Khulna is really important due to the Mongla Port, Khulna. Journey between inter city specially between the divisional city is severally we need. So guys hope this post will help you to make an awesome trip to Dhaka to Khulna or Khulna to Rajshahi. 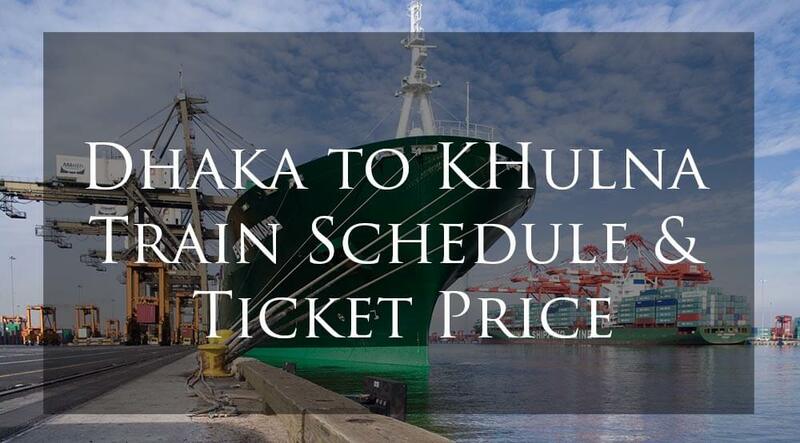 So check the Train schedule and the train ticket price from Khulna to Dhaka and Dhaka to Khulna as well. There are two trains leaves Dhaka everyday towards Khulna. They are Sundarban Express and Chittra Express. You can use both of them. Sundarban Express leaves Dhaka at 6:20 AM. its off day is Wednesday. Chittra Express leaves Dhaka at 7:00 PM and its off day is Monday. Note: This train schedule is from Komlapur Railway station. If you want to start your journey from Airport Railway station then Check this train schedule please. Dhaka/ Airport to Khulna Shovon Ticket price 390 BDT. Dhaka/ Airport to Khulna Shovon Chair Ticket price 465 BDT. Dhaka/ Airport to Khulna Snighdha Ticket price 891 BDT. Dhaka/ Airport to Khulna 1st Class Ticket price 620 BDT. Dhaka/ Airport to Khulna 1st Class Birth Ticket price 930 BDT. Dhaka/ Airport to Khulna AC Ticket Ticket price 1070 BDT. Dhaka/ Airport to Khulna AC Birth Ticket price 1599 BDT. Things to mention that Dhaka to Khulna and Khulna to Dhaka ticket price are same. 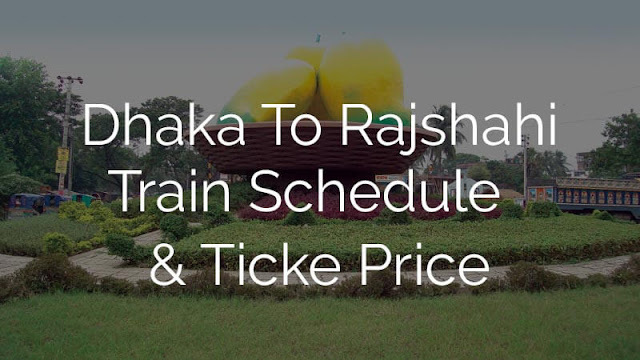 Moreover, the both train run from Dhaka to Khulna and Khulna to Dhaka ticket price are same. So have a nice journey guys to Khulna. Thanks. 3 S_Chair available of chittra Express? অাগামি ২৬ অথবা ২৭ অক্টোবর ২০১৮ | সেটা এয়ারপোর্ট রেল ষ্টেশন থেকে কি ভাবে অনলাইনের মাধ্যমে কাটতে পারি, বলবেন প্লিজ..???? Amr 12 ta ticket lagbe plz number ta aktu den ami sorasore contact korbo 01729627507 this is my number. Amar dhaka to khulna..2 ta ticket lagbe 21 tarik ar..please help me? 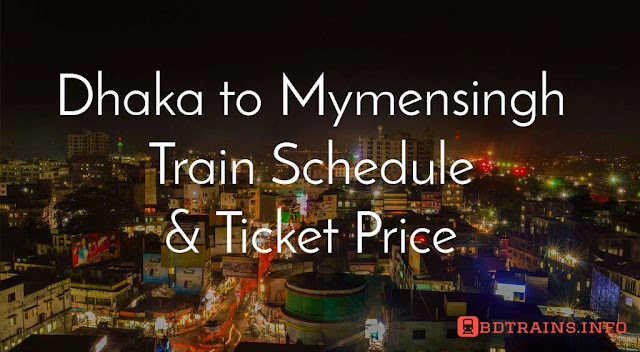 Vai Dhaka To Khulna Akta Ticket dorkar ajkei..
Cabin price koto dhaka to khulna.